The Great Recession has ended, economists tell us, but don’t expect to be rewarded anytime soon. In fact, unemployment is expected to continue to rise well into next year. Now a 290-page report delivered in September by a commission established by French Pres. Nicholas Sarkozy under Nobel Prize-winning economists Joseph E Stiglitz and Amaryta Sen has posed a frontal challenge to the unhealthy global obsession with GDP. 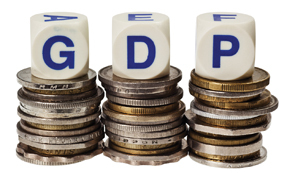 It points out that GDP does not discriminate between different economic activities. It cites the example of traffic congestion, which has the effect of bolstering GDP because of heightened gasoline consumption, but which also increases air pollution and diminishes the quality of life. GDP also ignores non-market activities, such as the labor of volunteers and home workers and undercounts the goods and services generated by the state. Many of these criticisms have been sounded since the 1970s and over the past four decades scholars have constructed nearly 30 alternative social and economic indicators, most notably the United Nations Development Programme’s human development index (HDI), which since 1990 has factored in life expectancy, literacy and education. In 2007, the United Nations Environmental Programme launched The Economics of Ecosystems and Biodiversity (TEEB) project, whose 2008 interim report estimated the loss of natural capital to deforestation and environmental degradation at between $2 trillion to $4.5 trillion annually. Still policy makers worldwide remain fixated on GDP. However, there may be greater receptivity among governments blindsided by the current economic crisis to new criticisms that the GDP is juiced by inflated asset values and borrowed money. As the commission report points out: “Your measure of output is grossly distorted by the failure of our accounting system…. The time is ripe for our measurement system to shift emphasis from measuring economic production to measuring people’s wellbeing.” The French statistics agency is already working to adopt the commission’s recommendations. Economists have long conceded that GDP is not a measure of social progress. For instance, it does not address consumption or income distribution, nor take account of defrayed costs in pollution and depletion of natural resources. The commission advocates incorporating non-material indicators, such as health care, education, work conditions, governance, environment, economic and physical security, as well as subjective wellbeing. It might be good advice not just for nations, but for individuals as well. Indian Americans, who boast the highest median household income in the United States, have long been self-absorbed with their personal GDP. But are we measuring — and doing — the right thing?